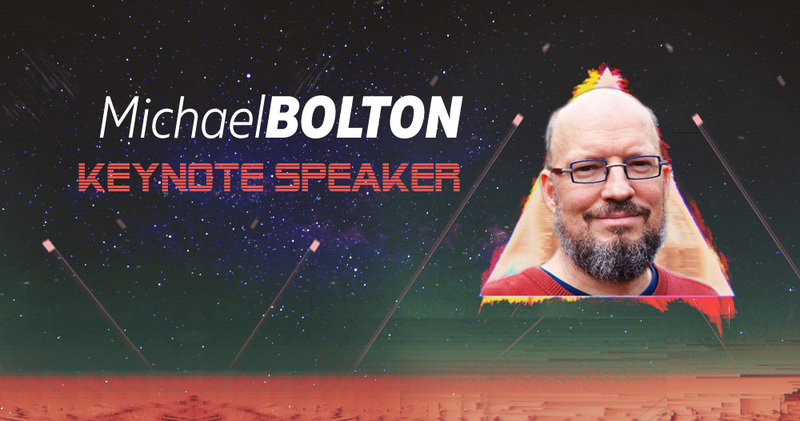 As you may already know Michael Bolton will run a 3-day hands-on Rapid Software Testing course before TestingCup (on May 23-25). This will be a unique chance to attend training that is praised by testers all over the world and it will be the first ever RST public class in Poland. But there’s more! Michael will also give a keynote talk at TestingCup conference. Michael is one the most influencial software testing specialist in the world, he is consulting software tester and testing teacher who helps people to solve testing problems that they didn’t realize they could solve. He’s co-author (with James Bach) of Rapid Software Testing*, Context-Driven Testing** guru and charismatic speaker. Michael has 25 years of experience testing, developing, managing, and writing about software. For almost 20 years, he has led DevelopSense, a Toronto-based testing and development consultancy. He teaches and gives lectures about software testing all over the world. It is going to be his first talk in Poland and we are extremely proud that TestingCup audience will have a chance to hear about his brilliant ideas. *Rapid Software Testing is a methodology and mindset for testing software expertly and credibly in uncertain conditions and under extreme time pressure. **Context-Driven School of Software Testing is a community of people who believe that testing should respond first and foremost to the needs of the organization and the project, rather than to “best practices” that may not be best at all in the given context. You can read more about these ideas here. If you are interested in attending Rapid Software Testing Course with Michael on 23-25/05, there are still some places left. I ve been in that course in Zurich in 2017. This is an amazing interactive course, no multiple choice kind of thing, but a very good opportunity to open up your mind about testing. Are you sure you know equivalent class testing? Michael is going to strip it down to the core of testing: Why do want to do equivalent class testing on this, are you convinced that it is the right method? Are you now curious about that training?